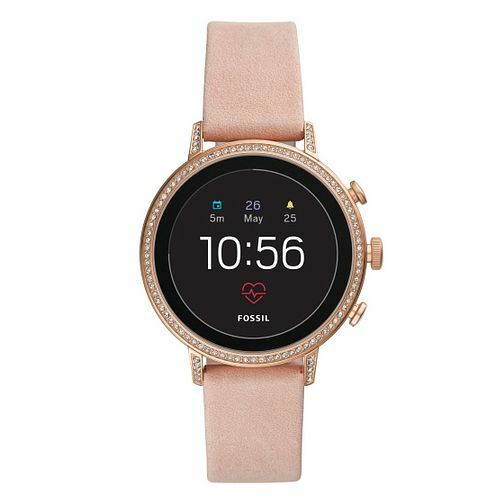 A glistening and glamorous rose gold plated smartwatch by Fossil Smartwatches. Sleek, sophisticated and impossibly stylish, this timepiece boasts a rose gold plated case with a dazzling bezel. Displaying the time, date, alarm and heart rate, this smartwatch is both pretty and practical.